Looking for a car that no one at your local Cars and Coffee will have? The Pontiac Le Mans was a obscure and slow selling GM A-body chassis. Today's example has been given the restomod treatment on the inside and out. 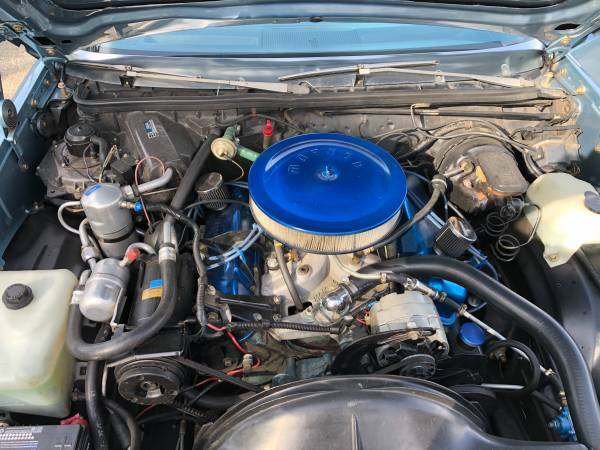 The malaise spec engine was swapped for a much more stout 69 GTO 400 HO V8 and 3.73 posi rear end which should provide plenty of juice to melt the larger than stock 17" tires with any prod of the right foot. There is not much to fault on the paintwork from the photos and the interior seems equally clean. 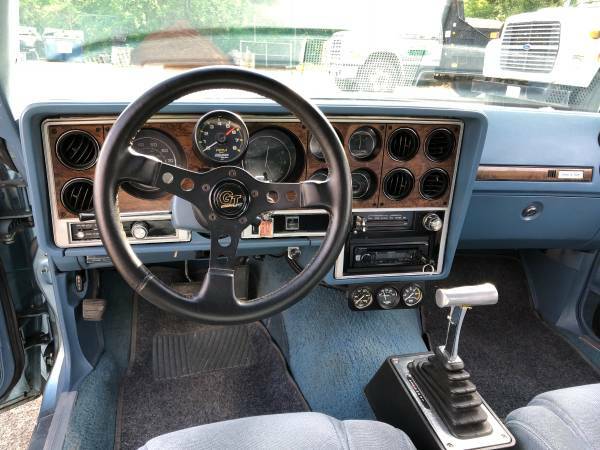 Find this 1979 Pontiac Grand Le Mans for sale in Ludlow, MA for $11,000 via craigslist. 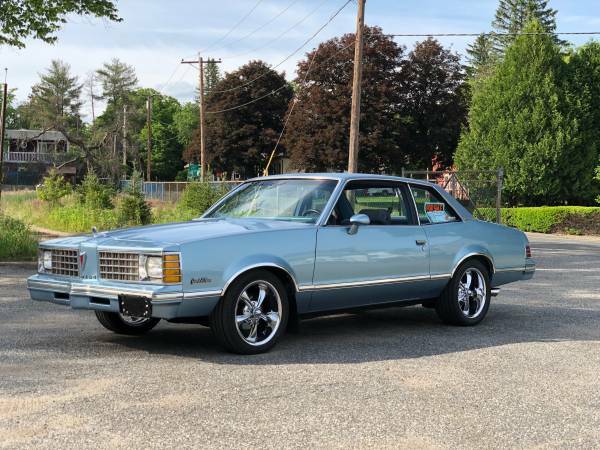 1979 Pontiac Gran Lemans with 46k miles orginial on body with a beautiful blue metalic paint has a rebuilt with performance upgraded 69' pontiac GTO 400 H.O. motor with GM turbo 350 auto transmission with posi rear end with 3:73 gear ratio. The car in great condition inside and out. The interior in great shape with all working gauges, it has AC that works great also has working heater, new kenwood cd player with sony speaker. Has full custom exhaust done by ed muffler. Comes with new 17in chrome rims and tires and also have factor wheels with matching color with new tires also included. Car passes inspection with no issues. Runs and drives excellent must see in person. Clean Massachusetts title in hand. Askn $11,000 obo consider trade NO PROJECTS or junks. The large circular gauge to the right of the speedo is not actually a gauge, but a giant clock! It is a shame there was not a way to swap the clock for a tachometer. The Hurst style shifter connects to a turbo 350 automatic and gives off the impression that this car means business. Cory is getting ready to offload a bunch of rare parts to a buyer driving in from 1000+ miles away. Seductively clean malaise era sleeper and obscure to boot. Too bad it doesn't have a later 4sp auto in it, as the 3.73 diff (nice at the light) will mean a punishing experience at modern highway speeds. Ah yes, the Pontiac Grand Mal as one of my classmates used to call hers.